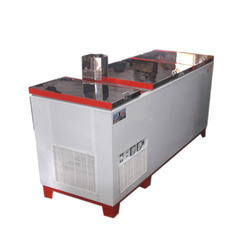 Our range of products include ice candy machine. Ice Candy Machine is used to make Ice Candies. With efficient electrical defrosting system - defrosting tank and automatic temperature controls, this product has gained a high demand in the market. High durability, easy installation & maintenance and resistance against corrosion are some of the main features of this machine from our end.